Therefore, any wave function that includes the Neumann functions also diverges, which is unphysical. 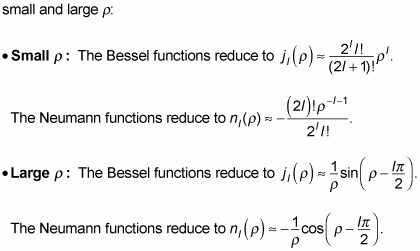 So the Neumann functions aren’t acceptable functions in the wave function. Note that because k can take any value, the energy levels are continuous.